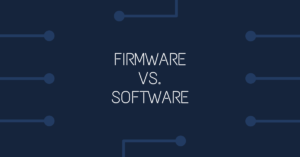 We all understand the importance of updating software and hardware to reap the latest benefits that technology has to offer, but what about firmware? What is it? Why is it important? And, if it should be kept current, how do you go about making updates? Software is a collection of instructions that tells a device how to perform a specific task. Firmware, on the other hand, is a special class of software that monitors, controls or manipulates data for a particular hardware. It can also be defined as a set of instructions that helps a device achieve the task it was made for – in other words, the backend programming that runs the machine. Firmware needs to be kept updated to optimize the performance of a device. Upgrading your device with new and advanced operational instructions will enable it to perform better and faster based on the latest technological developments. The firmware update process varies from device to device, however most access control readers require a physical cable connection to a laptop to transfer files. 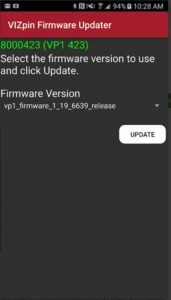 With VIZpin the good news is that there is no need for a connection to make a firmware update; all you need is a free app. There is no need to physically connect or interchange anything to update firmware. You can find a reader’s firmware by logging into VIZpin.net and navigating to Grant Access>Grant Smartphone Access>Grant by Custom Schedule. In the top section, it will show you any readers you have on, and on the righthand side there is a column that shows the firmware version on your reader. You can find the most current version by visiting the Software/Documents page on our website. 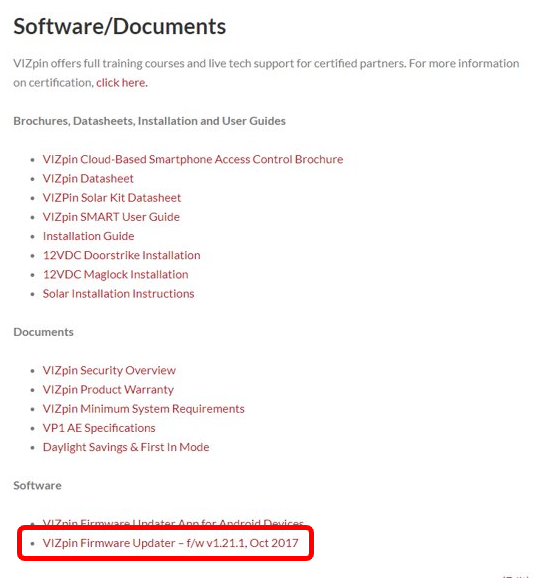 The link to the latest firmware version is at the bottom of the page under the software heading. It is important to note that there are two basic requirements to update firmware. First, updates can only be done on Android Devices (the app is not available for iOS), and second, you must have a valid key to the reader you want to update. After meeting those requirements, making a firmware update is fast and easy. You simply download the VIZpin Firmware Updater App from Google Play store and log in with the same credentials you use for VIZpin SMART app. For more details, you can watch a step-by-step walk-through in this video and an actual live, on-site update here.